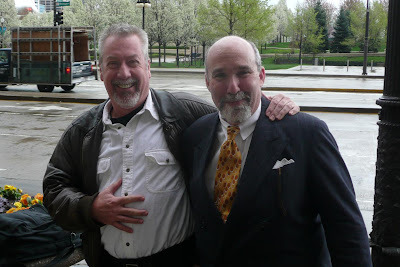 Joliet, IL—They finally indicted retired Bolingbrook police sergeant Drew Peterson on a dubious count of murdering his third wife. The physical evidence of is non-existent and the exact cause of her death is far from certain. Prosecutors are relying on a brand new and perhaps Ex-Post Facto law to enable this prosecution. As Peterson languishes in jail with an unheard of $20 million bond, his lawyers are scrambling to get him his fair day in court. The “evidence” here is primarily double hearsay evidence. This Indictment and prosecution was enabled by the “Drew Peterson Law”, which was strictly an emotional response to a stalled police investigation by the Illinois Legislature. They changed the law, sidestepping Drew Peterson’s Constitutional right to face his accusers. This legislative response was both unconstitutional and un-American. They already allow prosecutors to present hearsay evidence of alleged confessions by defendants. This is where they take some burglar out of jail, put lipstick and a suit on him and let him tell his tale of hearing another prisoner confess to a jury. This usually comes in exchange for a, get out of jail free card for the babbling burglar. Now prosecutors have even more nefarious power. They seek using the Drew Peterson Law to present testimony from someone who claims to have heard the confession from someone else who allegedly claimed to have heard it from Peterson. Only the witness repeating the double hearsay will be under oath while the others in the alleged conversation chain will not. The logical way to deal with this is to have a final judicial ruling on the issue of this new and untested law before such testimony is allowed to be presented. If the law is struck down this should end the prosecution unless or until more reliable and admissible evidence is located. In any event it all begins with the defense asking for a Declaratory Judgment striking the law down. The Defense Motion is pending and the Will County State’s Attorney has the right and duty to defend this legislative effort custom made to get Drew Peterson. Despite the ruling from Peterson’s trial judge either side can be expected to appeal the ruling.